There are a lot of potty training myths floating around about when and how to do it, leaving many parents feeling like a failure if they don't fit the neighborhood norm. “My son was interested in anything but potty training at the age of two,” she says. “We tried the potty a few times then, but it just didn’t click." They started again around two-and-a-half years old, and now at age three, he's still working on it. "Some days he does great and some days aren't so great, but all that matters is that he's improving. I see absolutely no need to force him in any way, and I'm not embarrassed to admit that." Truth: Not always. “I've heard all kinds of stories from moms about potty training," says Patty, a music teacher with a two-year-old who’s about to start training. "I am sure it has little to do with gender. It is more about the child and their personality and behaviors. There are some girls that are super easy and some boys who learn slowly, and vice versa. Just like some newborn babies sleep through the night when they come home, and others cry until they are two years old. 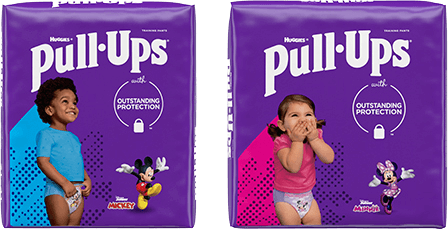 My older two children – a daughter and a son -- both took the same amount of time to potty train.” Now her child is showing signs of potty training readiness, and they are getting ready to start the potty training journey. The bottom line is that no two children are alike so why should they potty train alike? Potty training varies by child, and each one of them has different strengths and challenges. Move forward when both parent and child are ready, and remember that this is an important milestone for your child! It can be a fun bonding experience and a proud moment for your little one.